At Fidler on the Tooth, we like to involve you, our patients, when we are creating your treatment plan with the goal of having a healthier mouth. After all, it is your body so why shouldn’t you know exactly why a filling or a crown is being recommended? A technology that we have been using for years that allows us to better educate our patients is our intra-oral cameras. 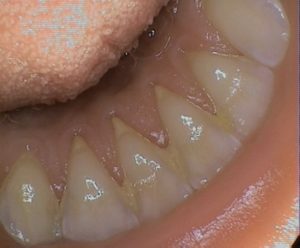 These cameras allow us to take close-up photos of your teeth and you will actually be able to see exactly where a chip or a visible crack might be on the tooth. After a few years, we have found that we can actually incorporate the photos in a patient’s first comprehensive exam with Dr. Fidler. 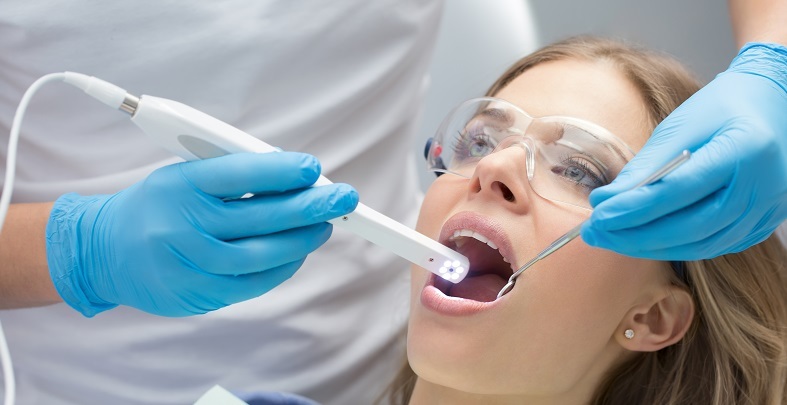 With the help of the intra-oral camera, a lot of patients are finding it easier to understand why certain treatments are being recommended by the doctor. 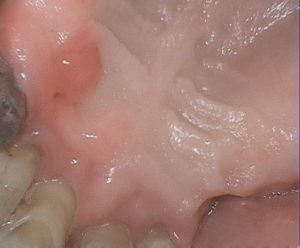 What does an intra-oral camera see? Our intra-oral cameras have evolved over the years, too. They went from big bulky cameras that made it hard to move from one operatory to another to smaller, hand-held ones. We now have one in just about every operatory, making it easier to use on each and every patient if or when needed. Their powerful camera can detect dental issues you might be unaware of. You don’t notice it but the chewing surface of your back teeth will eventually get some staining in their pits and grooves. Your toothbrush bristles aren’t skinny enough to get in those pits and grooves to get them cleaned properly. 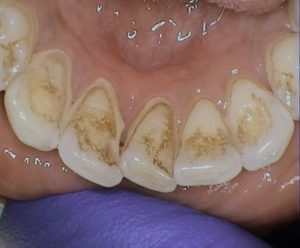 Sealants will be recommended by your dentist to help prevent these spots from getting tooth decay. 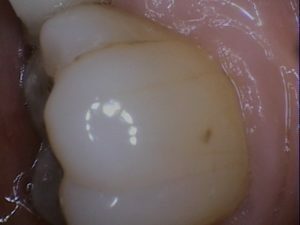 Fillings will usually last several years. Eventually though, they will break down and will need to be replaced. 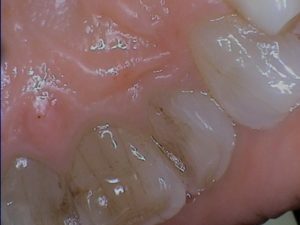 We will start to notice some staining around or at the margins of the fillings which is a good indication that bacteria are getting trapped in there. Often times, it will be hard to see if decay is starting around the fillings by looking at the x-rays especially if you have a silver filling on a tooth. The filling will look like a white blob on the tooth, and it will be hard to tell if there’s a cavity present unless it is a huge cavity. 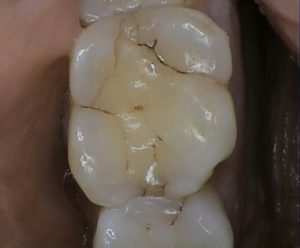 By being able to visually see the staining around the margins of a filling, we can warn you if that filling should be replaced sooner making for a smaller cavity and you will lose less tooth structure! If it has been a while since a patient has been to a dentist, we will generally see some staining and build up along the tongue side of the teeth and they may not be easily visible. Being able to show what this looks like to the patient gives them a better understanding of the importance of getting their teeth cleaned regularly. There will be times when we may need to refer you out to a specialist to have a suspicious spot on your gums evaluated and/or treated. These won’t show up on an x-ray but we can take a photo with the intra-oral camera and email it to the specialist. That way if anything changes from the time you visit us to the time you go in for the evaluation, they will be able to see it. Cracks or crazed lines will not be visible on an x-ray. We can take photos of these areas and watch them for progression. There will also be times when a tooth may have symptoms due to a crack in the tooth so it needs to be treated for a root canal and/or crown. Having a photo of the crack on the tooth to present to your dental insurance will ensure a higher chance of the claim getting paid. Our team feels it’s important to stay up with the latest in dental treatments and technology because it makes treatment easier and more cost-effective for you. Our intra-oral camera is one way we are striving to give our patients the best dental treatment possible! If it’s been a while since you had your last check-up, call or contact us for an appointment. We’d love to see you.